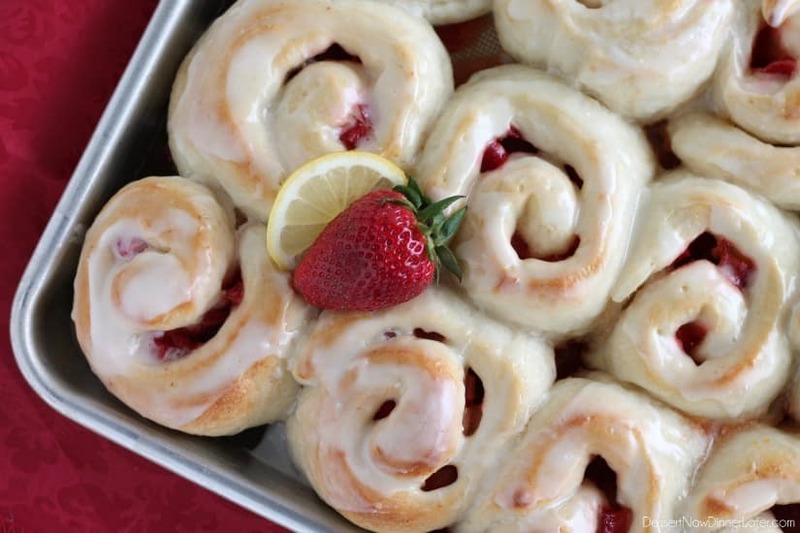 Lemon Strawberry Sweet Rolls - Dessert Now, Dinner Later! If you follow me on instagram you might recognize these rolls. 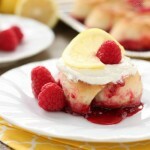 I like to give you sneak peaks when I can, and I have been dying to share these Lemon Strawberry Sweet Rolls with you! 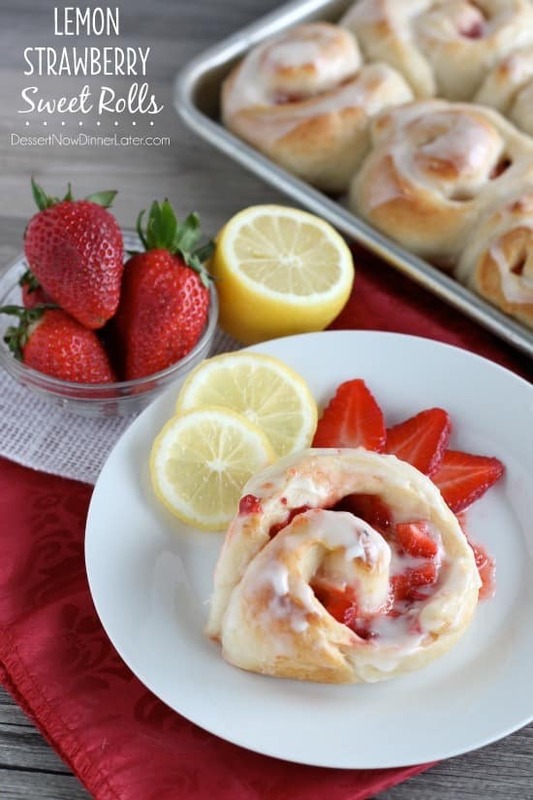 These rolls are filled with lemon curd and fresh diced strawberries. The flavors are sweet, tangy, and bright! 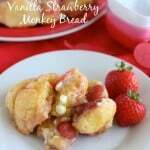 There is a light lemon glaze over the top as well that makes these rolls the BOMB! My son even told me that these were the best things he’s eaten in a long time. Silly boy! He’s only 4 (almost 5) and he gets a lot of my baked goods from the blog, but I guess these ones are “the best!” I do agree that they are pretty darn fabulous. Did I mention that these rolls are made with Rhodes rolls? I totally have a $0.50 off coupon in my sidebar for any Rhodes bread or rolls, so snag that coupon, make a quick trip to the store, and get to making these. Stack and press the edges of the rolls together, 3 rolls wide by 6 rolls long. Then, using a rolling pin, roll dough together to form a large rectangle, pinching the seams as necessary. It doesn't have to have perfect edges. Spread the lemon curd over ¾ of the rectangle leaving the bottom edge bare to seal the roll together. Combine 1 tablespoon cornstarch with ½ Tbsp sugar. Toss the strawberries in the cornstarch/sugar mixture and sprinkle them on top of the lemon curd. If you do this step too early, the strawberries will start to release their juices and it'll make it harder to roll the dough. 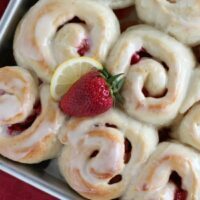 Roll the dough from the top, down towards the bare bottom seam, tucking the strawberries and lemon curd inside as you go. Pinch the seam as best you can and keep the seam on the bottom/tucked underneath. Using floss, cut the rolls 1½-inches thick by criss-crossing the floss and pulling until it cuts through. It might get a little messy, but try your best to keep the liquid inside the roll. Place the rolls fairly close together on a baking sheet lined with a silicone baking mat. Keep the seams tucked inside, touching the rolls next to it, to keep them from unraveling. Cover the rolls with greased plastic wrap and allow them to rise one hour or until puffy. Bake at 350 degrees F for 20 to 25 minutes or until golden brown on top and the dough in the centers of the rolls is baked. 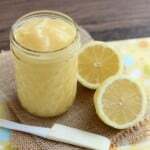 Make a quick glaze of 1 tablespoon melted butter, 1 cup powdered sugar and 1½ tablespoon lemon juice (1/2 lemon); mix until smooth and then spread the glaze over the warm (not hot) rolls. Enjoy! So pretty! And you made rolling out the dough so easy! And cutting it with floss? Genius! 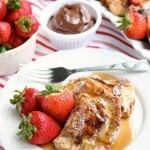 Those look so amazing! I’m so happy to find this recipe. Perfect for summer. They were flipping delicious! I hope you like them! Looks so good, great job, pinning this! Buns filled with lemon curd.. sounds and looks fantastic! Thanks! They are very good! Oh yes! They are so delicious and scream summer flavors! Summer flavors indeed! We loved them! When I click the link it takes me to the Rhodes site. I searched but didn’t find the recipe. Any idea what I”m doing wrong? Thanks. Thank you. I was clicking on “Get the Recipe and Step-By-Step Photos HERE”. I can use the link in your comment today though. Can’t wait to try these. Thanks again. Thanks for including this recipe in your roundup!